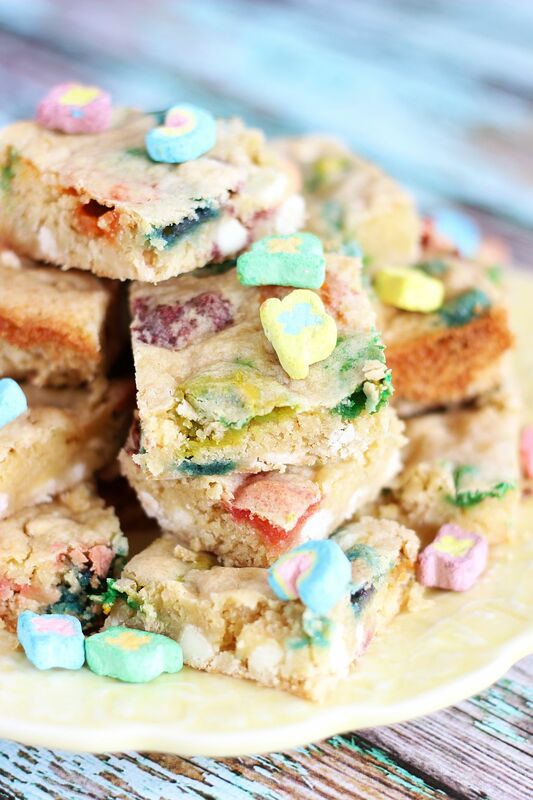 Rich and chewy white chocolate blondies with Lucky Charms marshmallows! 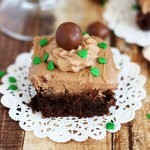 A fantastic St. Patrick’s Day dessert idea! 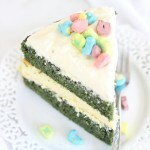 It wouldn’t be right to celebrate St. Patrick’s Day without a recipe built solely for the purpose of highlighting Lucky Charms marshmallows. They should be front and center in at least one recipe for St. Patrick’s Day. At least. I tried to make them front and center in several others, but the rest all failed. Maybe next year. 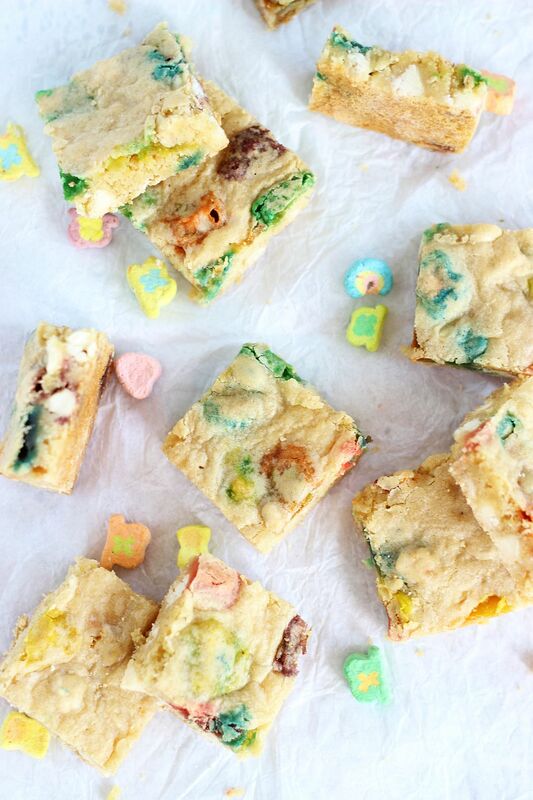 But we still have these White Chocolate Lucky Charms Blondies!! For now, that will have to be good enough. Next year I will get my act together with St. Patty’s Day. I found this holiday super challenging to bake for, which is sad, since it’s all about alcohol basically. I should know what to do with Jameson and Guinness, and in my 20s, I would’ve, but now that I’m old and I’ve traded liquor and beer for wine, I just couldn’t come up with inspiring ideas! Except for Bailey’s… it’s not difficult to find that stuff inspiring. 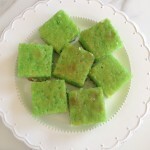 If you need a last minute recipe for St. Patty’s day, I’ve got you covered. 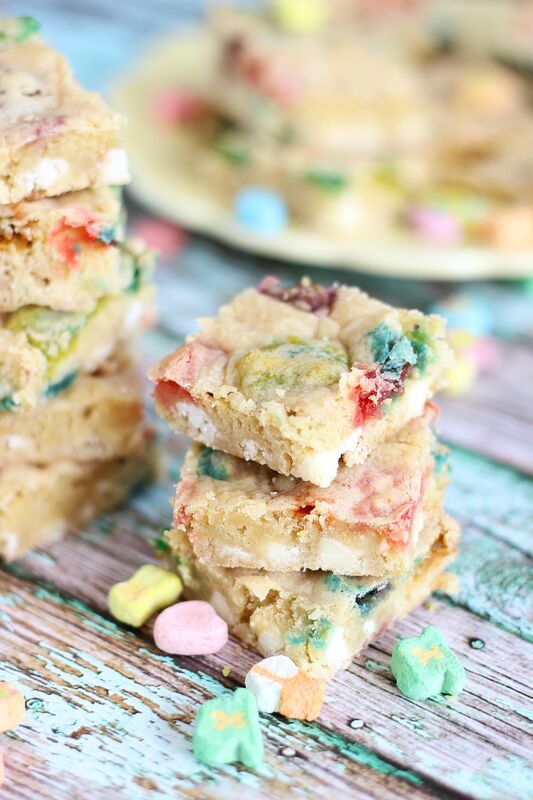 These White Chocolate Lucky Charms Blondies are simple and quick. White chocolate and marshmallow flavors in a blondie bar? They’re a sweet-tooth’s dream. You do need to dedicate about 4 minutes to sifting through an entire box of Lucky Charms to get at just the marshmallows, but other than that, prep time and bake time are pretty snappy. The batter for these blondies has white chocolate melted right into it, and is mixed up with plenty of butter and brown sugar. Rich, caramel-y, super chewy blondies. 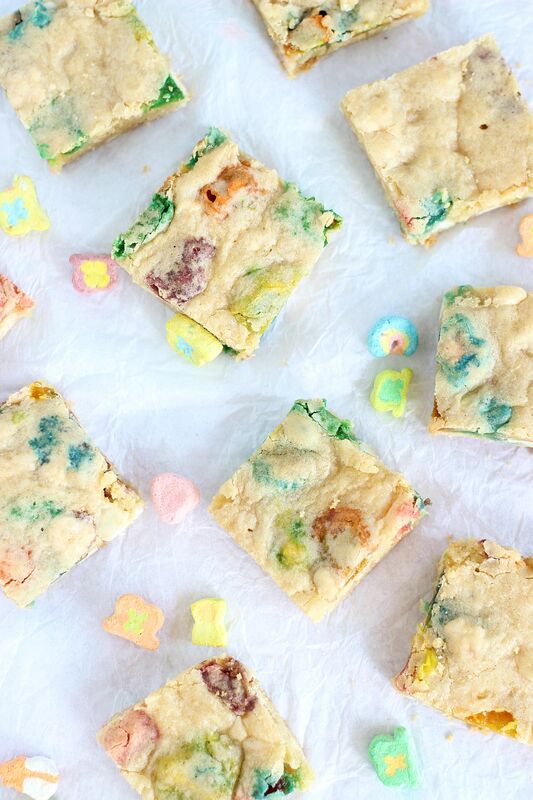 Throw in more white chocolate and a boatload of Lucky Charms marshmallows, and these scream St. Patrick’s Day. They also scream sugar rush. 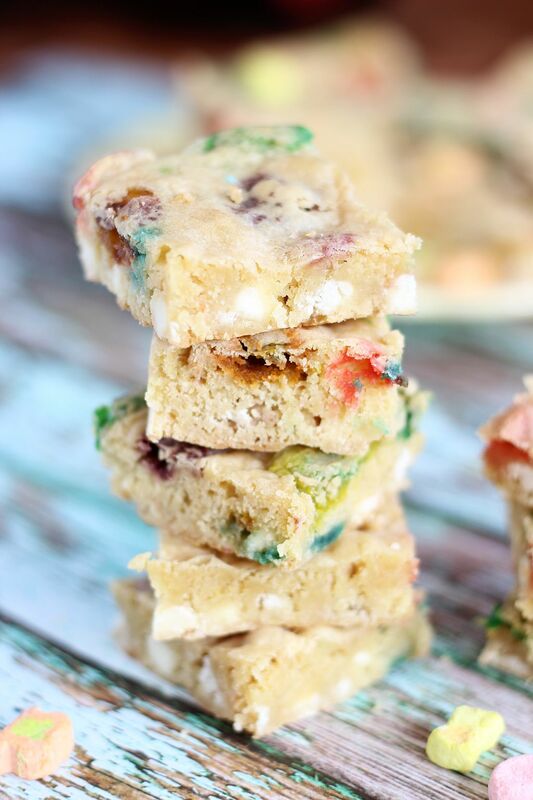 Rich and chewy white chocolate blondies with Lucky Charms marshmallows! 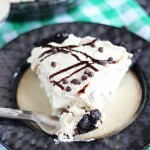 A fantastic St. Patrick's Day dessert idea! 1 1/2 c. Lucky Charms marshmallows just the marshmallows! In a medium saucepan over low heat, melt the butter. Remove from heat and scatter 1 c. white chocolate chips over the butter. Do not stir. Allow to sit for 2 minutes, then gently stir the chips and butter together until mostly combined. Set aside to cool to lukewarm, about 10 minutes. Fold in the remaining 1 c. white chocolate chips. Fold in the Lucky Charms marshmallows. Bake at 325 degrees for 20-22 minutes, or until edges are golden brown and a toothpick inserted near the center comes out clean. These are so fun, Sarah! You just keep pumpin’ out the goodies this week (well, every week). 🙂 They’re SO perfect for tomorrow, but I’m pretty sure we would love them year-round! Thanks, Blair! Gosh, I am soooo behind it’s not even funny! Have so many recipes to get out there and can’t write fast enough. Haha! Probably why I keep churning them out. So glad you like these blondies! Happy St. Patty’s Day! These are super cute! 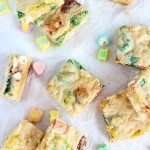 I love blondies, and Lucky Charms make these a total St. Patty’s Day win! Gah, the blondies are so good too. They’re soft, chewy, and brown sugary!! Thanks, girl! Those are super fun and colourful! Love them! these are super cute Sarah! 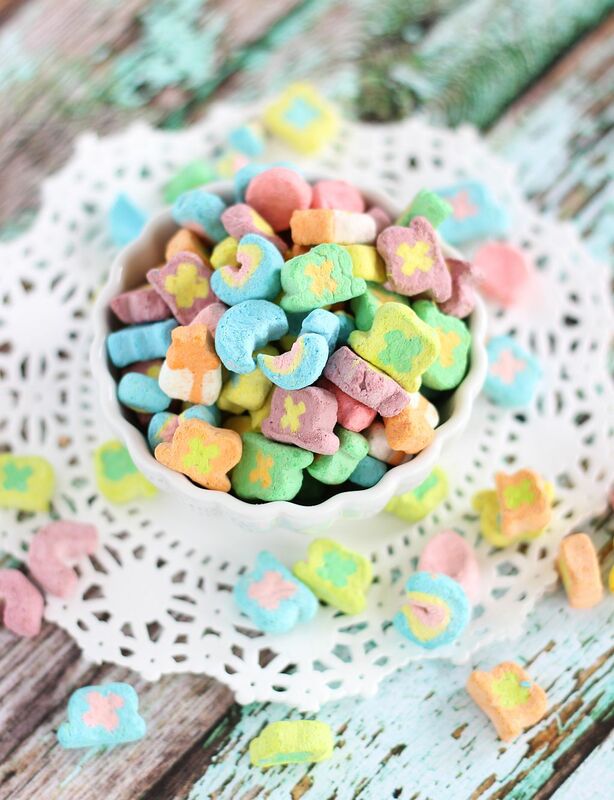 🙂 I have never heard of lucky charm marshmallows but they look adorable! Pinned! I love these!! 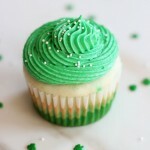 I am so making them even if they were intended for St. Pattys Day they are perfect for any party or just because! 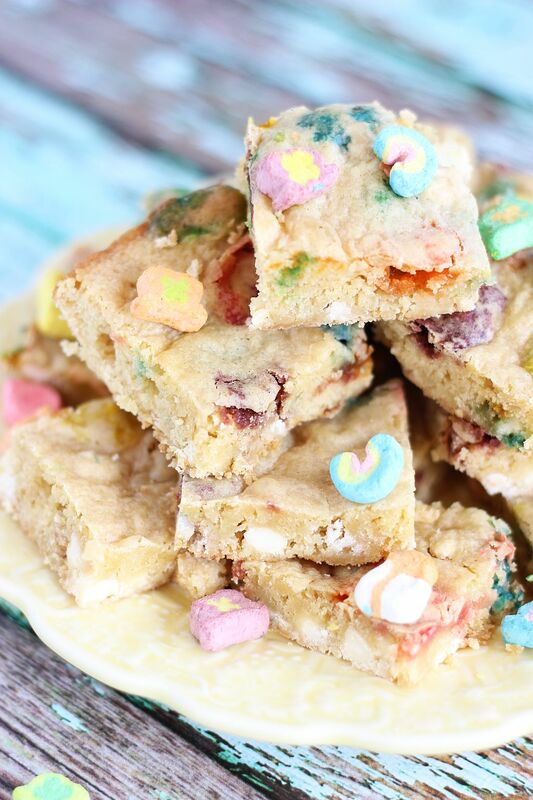 I am obsessed with blondies and these are right up my alley. Pinned and Shared!! Yes!!! You totally could make these ANYTIME! Regular mini marshmallow would work instead of Lucky Charms marshmallows, but… I mean, Lucky Charms marshmallows are so fun. Either way, these are excellent year-round blondies! Thanks, Cyndi! I think every day should be a Lucky Charms Day. I almost had some for lunch! I love this idea so much!! Thanks, girl! They were so yummy too! These are brilliant. You could definitely use your leftover dry cereal pieces to make some cereal milk! And then, who knows? Cereal milk ice cream? Cereal milk panna cotta? Orrrr maybe make some rice krispie treats style bars with the cereal. Anyway, love how these turned out! They look amazing! Oh my family would be all about this! That’s awesome! So glad you like them!! My two year old is obsessed with Lucky Charms right now! What a treat this would be for him! Thanks for sharing at Motivational Monday. Hope you will link up again tonight!